CPS Manufacturing Co is delighted to announce that our 2018 innovative seating brochure has now gone to press - please contact us now to reserve your copy. 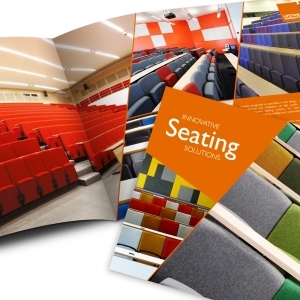 At 52 pages, this is our biggest brochure to date and is packed with ideas and inspiration on how to transform your tired-looking auditorium or lecture theatre into both a modern and inspiring environment. The brochure also features our superb Inova ‘turn and learn’ and collaborative bench seating systems which both greatly increase interaction with the lecturer and learner. We have now successfully designed, manufactured and installed a number of these collaborative seating systems in universities which have gone on to become their flagship teaching spaces. To discover more about our prestigious range of seating please take a look at our seating section of this website or contact Julian Ashmore on 01302 741888 to discuss your requirements in detail. From concept to completion we’ve had it covered for over 50 years - we invite you to be a part of our continued success.